Although it’s important that your teeth are strong and healthy, sometimes you just want to focus on the way they look. 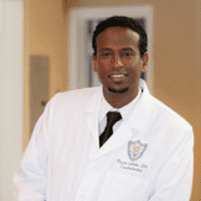 That’s the ideal time to see a cosmetic dentist like Mussie Sibhatu, DDS, MS, at Laurel Smile Dentistry in Oakland, California. The experienced dental care team offers a variety of cosmetic procedures to help you get your whitest, brightest, and most gorgeous smile ever. Book your appointment online or by phone now. Cosmetic bonding is one of the most popular cosmetic dentistry options at Laurel Smile Dentistry. Tooth-colored bonding materials are made of a composite resin that includes both plastic and glass. The unique composite resin bonds with your tooth to become a long-term restoration. 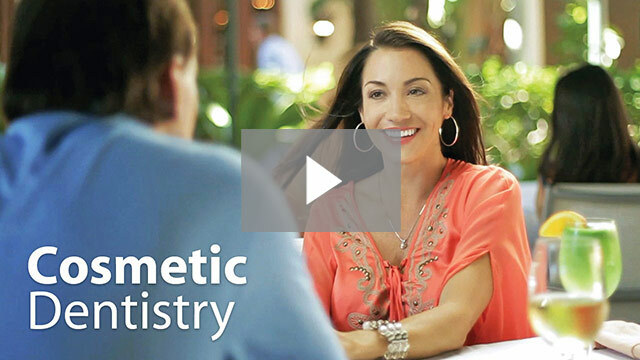 Cosmetic bonding can be a cost-effective alternative to veneers. On average, cosmetic bonding can last 3-10 years with optimal care. Veneers are porcelain shells that fit on top of your tooth. They're similar to crowns in terms of materials, but crowns cover your whole tooth while veneers just cover the front. Veneers can conceal a wide range of issues, including chips, breaks, and even tooth gaps. It takes more time to get veneers than cosmetic bonding — usually around three visits to Laurel Smile Dentistry — while bonding takes just one visit. Veneers last longer than bonding but are also more costly. What can I do about my dark teeth? Although you can use over-the-counter teeth whitening products, they're simply not as effective as the professional teeth whitening available at Laurel Smile Dentistry. Professional teeth whitening can last for up to five years if you take good care of your teeth afterward. Once your teeth are newly white, there are a few things you can do to avoid darkening. Stay away from dark beverages as much as possible, including coffee, tea, and fruit juices. Smoking is another common culprit of teeth discoloration, particularly yellowing. It's worth it to stop smoking for both smile reasons and for overall health reasons! Although you can't completely avoid gradual age-related enamel loss completely, you may be able to preserve your enamel with the help of special products and treatments recommended by your Laurel Smile Dentistry dentist. What if I need major smile restoration? Laurel Smile Dentistry offers full-mouth reconstruction. Even if you've lost all or most of your teeth, you can have a beautiful smile again with the restoration procedures recommended by your dentist. Full-mouth restoration may include crowns, bridges, dental implants, dentures, and other advanced treatments based on your needs. Book your appointment at Laurel Smile Dentistry online or by phone now.